These headrests are black and appear to be leather or a synthetic looking leather material. Good condition, however they do show have a few spots that appear dirty, nothing major. 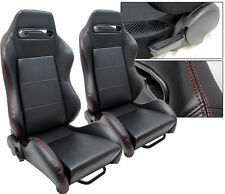 1 PAIR BLACK LEATHER RED STITCH RACING SEATS. Made of PVC Leather- BLACK RED STITCH. Sold in 1 Pair ( 2 Seats). These seats are designed for universal fit. (re-weld) of using your old hardware(brackets) from the original seats. Part Details: blk lthr - trim HW. 2006 FORD FIVE HUNDRED 2nd Seat (Rear Seat). Model:FIVE HUNDRED 2006. Year: 2006. WE MAKE EVERY EFFORT TO DESCRIBE EACH PRODUCT TO THE BEST OF OUR ABILITY, BUT DIFFERENT PEOPLE MAY VIEW CONDITION DIFFERENTLY. 05 06 FORD FIVE HUNDRED Front Seat. Model:FIVE HUNDRED 2006. FIVE HUNDRED 2005 -2006 (bucket), Limited, w/air bag, (electric, lumbar), (leather, heat), R. (power recline). FIVE HUNDRED 2007 -2007 (bucket), Limited, (air bag), (electric, lumbar), (leather, heat), R. (power recline). 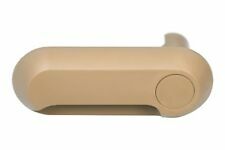 FULLY RECLINABLE WITH DOUBLE LOCK SLIDERS. These seats are designed for universal fit. 2 GRAY CLOTH RACING SEATS. CLOTH- GRAY. 1 Pair (1 Right and 1 Left). 34 lbs each. Genuine Ford Parts & Accessories 100% Satisfaction! 6 Month Parts Warranty Included! 1 PAIR BLACK PVC LEATHER RACING SEATS. Made of PVC Leather- BLACK. These seats are designed for universal fit. Fits on ALL FORD. Sold in 1 Pair. but adaptors (brackets) are not included. 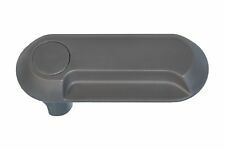 Up for your consideration is an OEM 2005 MERCURY MONTEGO FRONT GREY LEATHER HEAD REST DRIVER AND PASSENGER Some normal wear, see pics. This is from a 2005 but will work with many models. What you see is what you get. Not responsible for incompatibility. It is in good condition , see photos. It is sold AS IS, no warranty, no returns. It is in good condition. 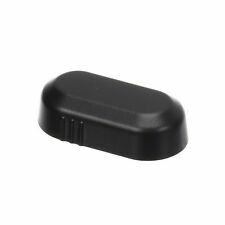 Item may show light scuffs,scratches or other imperfections as a result of this being used part. 1 PAIR BLACK LEATHER BLUE STITCH RACING SEATS. Made of PVC Leather- BLACK BLUE STITCH. Sold in 1 Pair ( 2 Seats). These seats are designed for universal fit. (re-weld) of using your old hardware(brackets) from the original seats. NEW 1 DRIVER SIDE BLACK & RED CLOTH RACING SEAT. ADJUSTABLE SEAT SLIDER. Sold in 1 Seat (Driver Side). Made of Cloth - BLACK & RED. Fits on ALL FORD. (re-weld) of using your old hardware(brackets) from the original seats. Model: FORD 500. Part Grade Abbreviations. cc = Credit Card size units. C = Greater than 200k miles. B = Greater than 60k miles and less than or equal to 200k miles but greater than 15k miles per year. FULLY RECLINABLE WITH SLIDER. 2 RED CLOTH RACING SEATS. These seats are designed for universal fit. We do make custom brackets for any model of vehicle. but adaptors (brackets) are not included. 1 PAIR BLACK & RED PVC LEATHER RACING SEATS. Made of PVC Leather- BLACK & RED. These seats are designed for universal fit. Fits on ALL FORD. Sold in 1 Pair. but adaptors (brackets) are not included. 1 PAIR BLACK CLOTH YELLOW STITCH RACING SEATS. Made of CLOTH- BLACK YELLOW STITCH. Sold in 1 Pair ( 2 Seats). These seats are designed for universal fit. (re-weld) of using your old hardware(brackets) from the original seats. Head rest in very good condition. Removed from smoke free car. Donor VIN 1FAFP28156G187644. Check with dealer and be sure that it is correct for your application. FIVE HUNDRED 05-06 (bucket), Limited, w/o air bag; (electric, lumbar), (leather, heat), R. (power recline). MONTEGO 05 (bucket), Premier, w/o air bag; (electric, lumbar), (leather, heat), R. (power recline). Quality Auto Parts! Excellent Service! This pair of headrests is in good condition. Removed from low mileage, non smoking Ford Five Hundred. Do look at all pictures. FORD FIVE HUNDRED. TAIL LIGHT. TAIL LIGHT IS IN USED CONDITION, HAS CRACKED LENSE. RIGHT(PASSENGERS) SIDE. 4 DR,Grey,CT,Cloth,NORMAL WEAR. B Grade - The second level quality part. It is of average miles and normal condition for its age. A Grade - The highest quality part. It is of low miles and/or exceptional condition for its age.